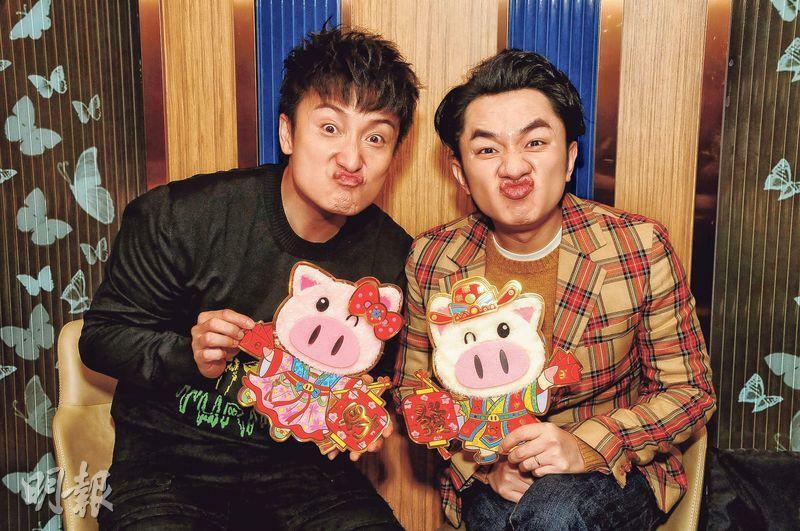 courtesy of singtao.com Alex Fong Chung Shun and Wong Cho Lam Wong Cho Lam wants another Year of the Pig baby Alex Fong Chung Shun and Ivana Wong Is Wong Cho Lam taking advantage of Joey Yung? 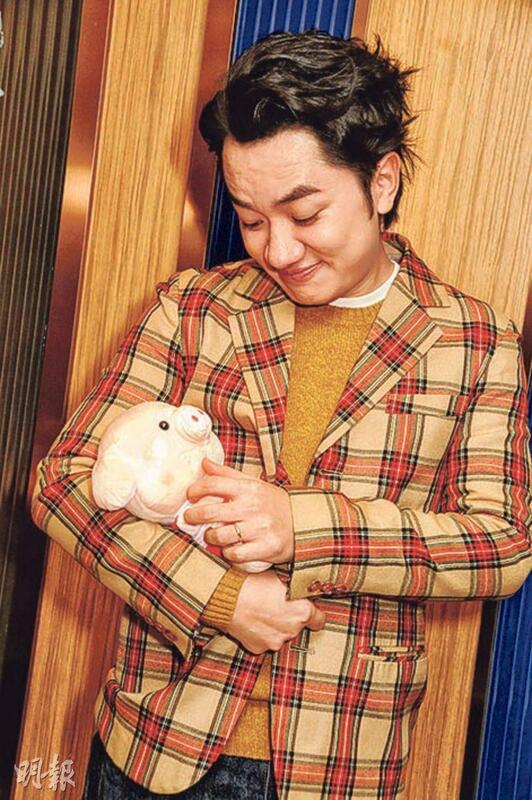 Wong Cho Lam has joy upon joy, with two "babies" on the way. His daughter with wife Leanne Li Yanan, Gabrielle, was born in December last year, while his directing debut Lunar New Year film I LOVE YOU, YOU'RE PERFECT, NOW CHANGE (NEI MAI LEI, NGOR OI NEI) will open soon. Wong Cho Lam directed for the first time a musical and said that he finished it with limited time, budget and personnel. Luckily he had almost 60 actors, each one was very famous. They rehearsed and recorded the songs before the shoot, which went very smoothly. Wong Cho Lam's directing debut I LOVE YOU, YOU'RE PERFECT, NOW CHANGE is a rare musical among Hong Kong films. Cho Lam invited almost 60 actors to perform. Although Alex Fong Chung Shun only guest starred in one vignette he did not slack off. Before hand he studied dance with an instructor and took two days to record the song. Siu Fong said, "Even as a guest star I still have to perform my best. When the audience notices my character I benefit too. However, as a singer I usually sing love songs, this time is a musical. They are two completely different matters. The voice has to be higher and stronger, and the singing has to be dramatic." Wong Cho Lam said that Ivana Wong Yuen Chi also praised Siu Fong's singing. Has this year been particularly happy for Cho Lam, with his wife giving birth to his daughter and his directing debut about to open? Cho Lam said, "It's very simple, I hope that my daughter would bring luck to the film at the box office. Then I will be able to tell her in the future, 'Do you know what happened when you were born? Papa broke the record, the Hong Kong musical film box office record because there was no musical film'." Wong Cho Lam praised Siu Fong's comedic sense. Even Eric Tsang Chi Wai and many actors praised Siu Fong after watching the film. Siu Fong said, "I am surprised by all the attention." Cho Lam said that Siu Fong was very funny normally, funnier than him. Only that he made mostly romantic films before, no one discovered his knack of comedy. Would Siu Fong make more comedy? He said, "I don't mind, but I won't deliberately choose drama or crying scenes for recognition that I can act. I absolutely won't; actually I am very afraid of those films, because I am an optimistic person I don't want to be so heavy. I have played many boy next door character, which can have different interpretations. I don't feel that knowing how to cry means I am a good actor." Cho Lam called in all the favors and joked that he would have to spend a lifetime to return them. How would Siu Fong want Cho Lam to repay him? He said no need, friends did not need to go and forth with favors. Would Cho Lam introduce girls to Siu Fong? Cho Lam said fine, his wife has many sisters. Although many are married, some still are not. He joked that his daughter was fine too. Was the still single Siu Fong envious of Cho Lam being married and with child? He said, "To each its own, avoiding giving lai see is a positive." Cho Lam said that after years of giving away lai see this year he finally would get some back. Would Siu Fong catch up? Siu Fong said, "I can't, once behind I will always be behind." Cho Lam told him to join his company, which has been very lucky with babes as two of his assistants were pregnant and Eliza Sam Lai Heung was as soon as she joined. He joked that even without the other half he still would be able to naturally procreate. This Lunar New Year Cho Lam would be busy with audience appreciation events at the movies, then he would visit Japan with his wife Li Yanan. "Every year the wedding anniversary would be Valentine's Day. Yanan just finished her maternity break so we would go on vacation ourselves. I want to try for a (Year of the) pig boy or girl, but because of cesarean Yanan would rest for half a year before we try again. Two children would be better, but then I would be out of the picture even more. Yanan used to love to take selfies, now everyday she would only shoot our daughter." Siu Fong said that he would visit family in Beijing with his parents. "The family tradition is to have vegetarian dumplings on the Lunar New Year's Eve. After midnight when you hear firecrackers then you can have meat dumplings." In order to make the 12 "stories of love" perfect, Cho Lam not only coaxed Tsang Chi Wai to sing bu also "broke out of Hong Kong" and asked RUNNING MAN host Zheng Kai and Korean T-ara's former lead vocalist Melody Park So-yeon to guest star in a "scene within a scene". Although Zheng Kai and Park So-yeon had a language barrier and only guest starred in a dozen or so seconds of scene within a scene, no one dared to slack off. Zheng Kai in order to achieve "the best communication" with Park So-yeon learned all the Korean version of his lines under the guidance of So-yeon and the translator. Zheng Kai had great ability to learn, as he only took a few minutes to be fluent with the lines and surprised the team and So-yeon. The shoot also went very smoothly. Cho Lam said that he already knew about Zheng Kai's shocking knack for language. When he shot RUNNING MAN he often pretended to speak Korean. Although he was just messing around, the feeling was very real. Thus this time for the scene within a scene based on the Korean tragedy drama ENDLESS LOVE, Cho Lam thought of Zheng Kai right away. "He really is very sharp. Not only did he have to learn Korean on the spot but also truly able to act. Although all of the team including me had a very tough time with 'steaming crabs' (holding back laughter) when we heard him breathlessly spoke Korean, Zheng Kai remained unaffected and was even able to shed real tears." In addition, Cho Lam praised So-yeon for being pretty and friendly, a very photogenic person with a knack for acting. He hoped that everyone would have a chance to work together again. Speaking of Zheng Kai's comedy secret, it was actually being "serious". He said, "To me, comedy is the more serious you are the funnier you are. Actually this is my first time acting in Korean, which I feel it rather interesting and funny. (The whole set feels you speak convincingly because you have a knack of language?) Actually I only know the general usage, I can't completely deliver a line. So it is completely due to the onset Korean teacher's great lessons." As for first time director Cho Lam, Zheng Kai said, "His musical film is very creative, currently on the market musical films are very few. Maybe he would be able to pave way for it. I am very supportive of him." So-yeon said that her first Hong Kong film production was very interesting. When she learned that it was Cho Lam's directing debut she was very surprised. She said, "He really knows what he wants, the production time is also grasped very well. He gives us great direction too. Zheng Kai is really amazing. Although the feeling of the performance is sorrow and very serious, I don't know why the energy from it is very funny. Honestly, when I act with him I really have a hard time with keeping myself from laughing. To me it is a huge challenge as well."